BEIJING, March 4 -- The China Manned Space Engineering Office (CMSEO) announced Monday that the core module of the country's space station, the Long March-5B carrier rocket and its payloads will be sent to the launch site in the second half of this year, to make preparations for the space station missions. China is scheduled to complete the construction of the space station around 2022. It will be the country's space lab in long-term stable in-orbit operation. The space station will have a core module and experiment modules, which are under development and will be launched into space by the Long March-5B. 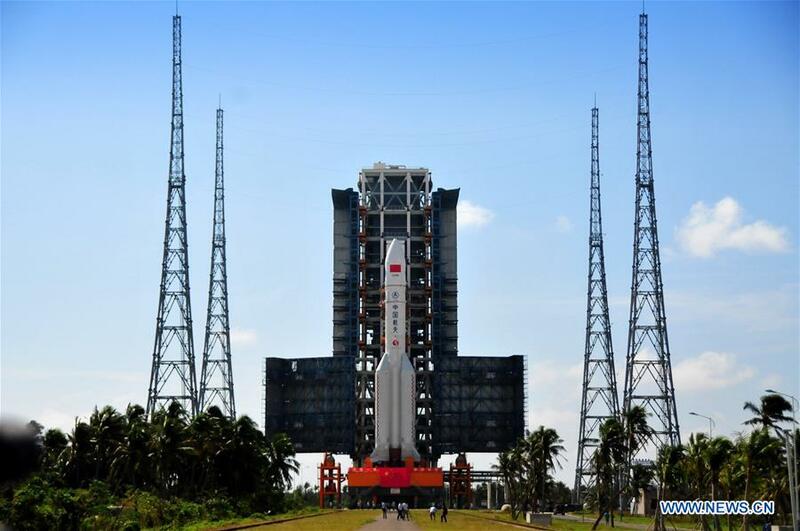 Joint exercises will be carried out in the Wenchang Space Launch Center at the end of 2019 for the maiden flight of the Long March-5B. Programs to select and train astronauts are underway. China is committed to making the country's space station an international platform for scientific and technological cooperation, according to the CMSEO. In June this year, the CMSEO will work with the United Nations Office for Outer Space Affairs to complete the application selection of China's space station and launch a number of cooperation projects. China's Tiangong-2 space lab, launched on Sept. 15, 2016, is conducting in-orbit tests and will de-orbit after July this year.